John Cove of Starrett explains the advantages of using handheld devices for quality inspection and force measurement testing. Force measurement is an essential part of product manufacturing across a vast array of industries. However, relying on large and expensive force measurement machines is not always feasible — or even necessary — in all manufacturing applications. Quality control teams are often reluctant to conduct product inspections on the factory floor. Instead, part examination is usually redirected to the lab, where the inspection can be performed on a dedicated force measurement machine. Traditionally, force measurement devices are larger pieces of machinery that are designed to deliver accurate measurement of products and parts. Manufacturers in the aerospace industry, for example, often produce large parts that cannot be easily manoeuvred on the factory floor. In these environments, testing is not always viable until the end of a manufacturing process, when the part can be safety moved to the force measurement device. However, waiting until the end of the production process to conduct an inspection can cause problems. If any problems are identified with part of the product, it may be more difficult to locate where in the manufacturing process the problem has occurred, especially if production comprises several different steps. 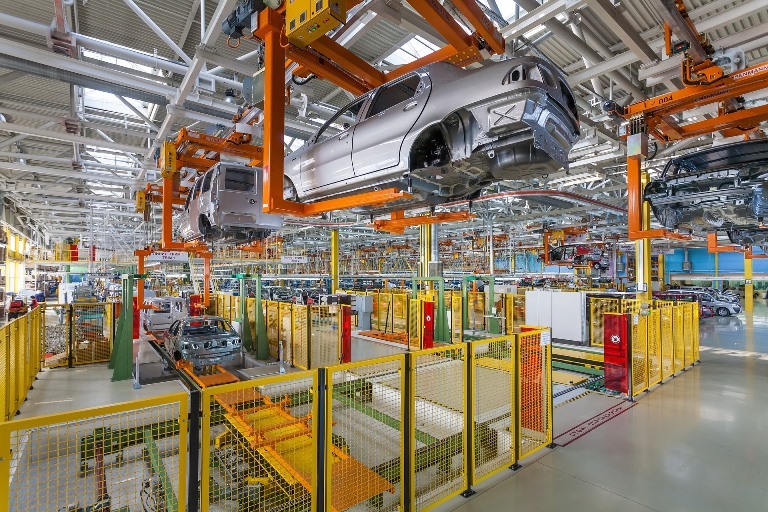 As an alternative, quality assurance managers should be able to conduct inspections during the entire production process while on the factory floor, using portable force measurement devices. Unlike traditional force measurement machines, portable force measurement devices are lightweight. Usually, the technology is handheld and can be operated by one inspector without the need for assistance. Where a stand is required, stands are smaller and a fraction of the weight of fixed force measurement machines. Using a portable device enables quality control managers across manufacturing, engineering and research and development sectors to perform accurate batch testing while on the move. The inspection of parts, like those in aerospace, is ideal for handheld force measurement. However, non-repetitive applications, such as reverse engineering and rapid prototyping would also benefit from the technology. There are common misconceptions that handheld force measurement devices provide less accuracy than traditional, static machines. However, that’s not necessarily the case. Starrett’s DFC Digital Force Controller, for example, features measurement accuracy within 0.1 per cent full scale with internal data sampling at 25kHz. Quality control engineers can use the advanced device as a universal interface to set up tests and configure load and distance limits and break limits, as well as crosshead travel direction and speed. Using a handheld device gives production teams more flexibility, knowledge and greater independence. Production will no longer rely on relatively longwinded quality inspection measures, nor will the team have to wait for the quality control department to move and measure larger parts and products. With the possibility of measuring parts whenever they want, at any point in the production process, production teams can perform better quality control themselves and as a result, make fewer mistakes.